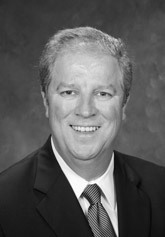 James C. Donohue is a founding member and one of the co-managing members of the law firm. He was born in Abbeville, Louisiana, October 13, 1962. Mr. Donohue received his J.D. from Louisiana State University(1988) was admitted to the Louisiana State Bar Association in 1988. He is licensed to practice before all Louisiana Courts, State and Federal District Courts, Courts of Appeal and Supreme Court. For the past twenty five (25) years, Mr. Donohue has maintained a commercial and corporate litigation practice. He has successfully represented corporations, insurance companies, construction firms, nursing home and home health companies, and defended claims on a statewide basis in all courts of Louisiana, and arbitration panels. Mr. Donohue has a broad insurance defense and coverage practice which includes professional and general liability, construction defect, medical malpractice, nursing home, environmental, bad faith-extra contractual, pollution, products liability, and mass claims. Recently, Mr. Donohue spearheaded the firms selection to the defense team and participation in the successful defense of mass claims asserted in the Hurricane Katrina litigation. In addition, Mr. Donohue represents clients before Louisiana regulatory and administrative agencies, medical review panels and municipal governments. He has successfully represented and defended regulatory compliance actions, administrative and permit hearings before the Louisiana Department of Environmental Quality, Louisiana Dept. of Conservation, Louisiana Housing Finance Authority, Louisiana Department of Economic Development and local government throughout Louisiana. Mr. Donohue has extensive knowledge of the Louisiana Ethics and Campaign Finance Laws and represents clients and political action committees with regulatory compliance filings and hearings with the Louisiana Ethics Board. Mr. Donohue has also maintained a practice in the areas of energy and admiralty litigation, maritime personal injury, pollution, blow-out well explosion, fire, oilfield indemnity and coverage disputes. He represents maritime employers, vessel owners, energy interests and their underwriters in personal injury defense litigation, including Jones Act and Longshore and Harbor Workers Compensation Act claims. He also represents general liability and marine underwriters with respect to coverage issues involving a broad range of marine, general liability and excess forms of coverage.